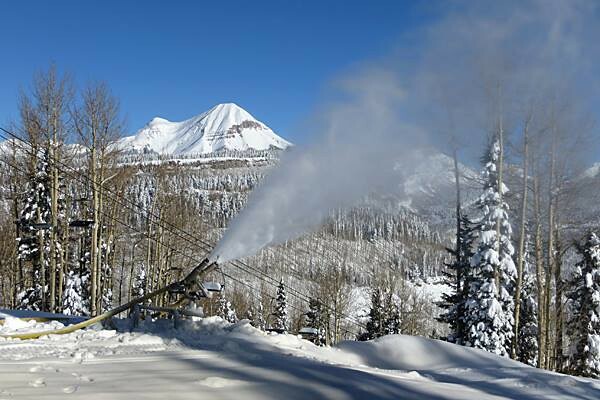 As with most Colorado resorts, the offseason work at Purgatory at Durango Mountain Resort this summer centered on infrastructure and the guest experience. Snowmaking equipment on the front side of the mountain got the most attention, with 16 new tower guns and more snocats for grooming. After the Thanksgiving opening weekend Nov. 29-Dec. 1, management will put the new gear seriously through its paces Dec. 2-5 when the mountain will be closed as snowmakers lay down as thick a base as possible on parts of both front and back sides. Runs under Needles and Village Express lifts will get attention, as will a few trails under Hermosa Park Express on the backside. Also over the summer, crews rebuilt the lift houses and ramps at the base of the busy Purgatory Village Express to make it easier to get on the lift and head up the mountain. Visitors can sit on a new deck on the Powderhouse eatery at mid-mountain, or sample a couple of new restaurants and shops in the base village. San Juan Untracked takes over the storefront of the former San Juan Ski Company to run daily powder trips into 35,000 acres of backcountry in the nearby national forest lands.